Ted Woehrle, Chief Marketing Officer of Newell Rubbermaid, will be presenting at the Buckhead Club (Atlanta) on“Building a Brand Management System and Infusing it into the Company and its Culture”. When: Tuesday, March 15 from 11:30am-1:00pm Where: 3344 Peachtree Road, Suite 2600 RSVP: roxanne.vallone@ourclub.com or (404) 262-2262 Cost: $18 per person Ted Woehrle joined Newell Rubbermaid in 2007 and is leading transformational change in consumer understanding, marketing and brand building at Newell Rubbermaid. Under his leadership, the company has adopted a blueprint to drive best-in-class results and to allow ideas and talent to flow more freely between business units. Brand building investments as a percent of sales have increased steadily. And brands continue to develop new and effective ways to connect with consumers. 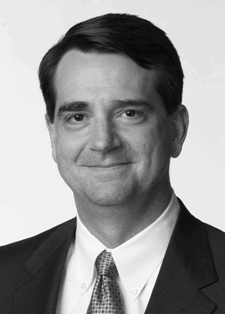 Previously, Ted held several pivotal marketing and general management leadership positions in a 24-year career at Procter & Gamble. His last assignment was VP of Marketing for North America where he was a key leader on the P&G team and was named “Marketer of the Year” by Advertising magazine and “Media Client of the Year” by Media Magazine. He has also served the global and national marketing community on the board of directors of the Ad Council and as a committee chair for the Association of National Advertisers. Ted is a graduate of Michigan State University with a degree in Mechanical Engineering.